join David Knight to talk about Maxwell’s official censure when he appeared for 3 minutes in the documentary “INCONTROVERTIBLE” and questioned the safety implications of the 9/11 official report. Labels: incontrovertible911evidence, What If the Official 9/11 Story Were True? WeAreChange New Jersey's Glenn Zarmanov takes you on a 9/11 truth tour of the WTC National September 11, 2001 Memorial Museum. Labels: 9/11 Memorial Museum EXPOSED!, WeAreChange New Jersey's Glenn Zarmanov takes you on a 9/11 truth tour of the WTC National September 11 2001 Memorial Museum. Pieczenik says the Israelis, Saudis and neocons were behind the 9-11 attacks. Given evidence of Mossad’s checkered past and involvement with the attack of the USS Liberty on Jun. 8, 1967, killing 34 American soldiers, Pieczenik's comments won’t be received as a big surprise to many Americans. I want Netanyahu to “begin telling the truth, that the involvement of Israel was, in 9/11” says Pieczenik. “Over 134 Mossad operatives were picked up on 9/11. The FBI picked them up [and] debriefed them. They were clearly involved with the Pakistani ISI and Saudi Arabian intelligence” on 9/11. Labels: Govt Insider Confirms Israel's Role In 9/11 Attacks! Rogue Elements of US and Other International Intelligence Agencies Involved in 9/11? This makes it no less creepy or predictive in nature, if only coincidentally. Nor does it take away the possibility that the use of the 2001 theme was a means to slightly veil the prediction. When one researchers 9/11 predictive programming one learns that this is not as implausible as it may sound. Some of the reports are so bad that they think its 28 pages of the 911 commission report. it isn't. It's from the JIS report done in 2002. they don't even have the basics right. They just heard the word Saudi Arabia (a country you are allowed to talk about) and were sold. We ALREADY KNOW the Saudis were involved with the 911 hijackers - what has been redacted involves more than just the Saudis. This is an excellent must see clip. Editor's Note: The narrative that Infowars covers up Israeli involvement is misinformed. U.S. 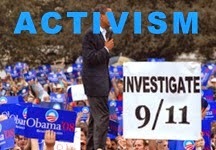 Covered Up Saudi Role In 9/11! Labels: Rpt: Saudis To Pull $750B From U.S. 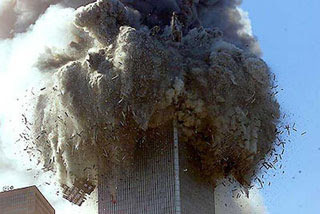 If Congress Passes 9/11 Bill - America's Newsroom, Saudi Arabia Wants US to Kill 9/11 Bill Threatens to Dump US Assets, U.S. Covered Up Saudi Role In 9/11! More than TWO THOUSAND five hundred experts now say that the attacks on the World Trade Centre Towers (and Building 7) were an inside job. Trump is still the most anti-war candidate. 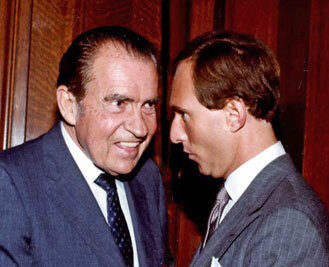 Let’s talk about power: Richard Nixon and Roger Stone. Roger Stone is the first JFK assassination author to have worked in the White House and among the few who have personal acquaintances with JFK’s sucessors. As a former aide to President Reagan and confidante of RIchard Nixon, Stone brings unique practical experience and personal contacts at the highest levels of American politics to a subject that has often been written about by people with neither. Stone’s background doesn’t mean that his interpretation of November 22, 1963, is necessarily correct, but he cannot be dismissed as “conspiracy theorist” who is deluded about the realities of American politics and power. To the contrary, he has far more first-hand experience with those Washington realities than an academic like John McAdams or a prosecutor like VIncent Bugliosi. I think Stone’s indictment of Lyndon Johnson deserves to be taken more seriously than anyone else’s precisely because of his White House experience. In an email interview with JFK Facts, Stone opened up about his sources, why he wrote the book, and what he really thinks of Chris Matthews. Q. To some liberal pundits, anyone who shows an abiding interest in the JFK assassination is seriously lacking in understanding of the realities of American politics, if not clinically mentally ill. I’m thinking of Cass Sunstein, Vince Bugiiosi, and Chris Matthews, for example. What’s your reaction to such pronouncements? RS: I have been in the mainstream of American politics and have been a senior campaign staffer to three Presidents, having worked on eight national Republican Presidential campaigns. Long before I began my book, the House Select Committee on Assassinations essentially debunked the Warren Commission Report. The Assassination Records Review Board declassified enough documents to bolster the conclusions of the House Committee; there was a conspiracy to kill JFK. Oswald did not act alone — in fact I don’t think he acted at all. My book is not disparate from many other groundbreaking works like James Douglass’, The Unspeakable; Phillip Nelson’s LBJ: the Mastermind of the JFK Assassination; Barr McClellan’s Blood Money & Power; Craig Zirbel’s Texas Connection; and Glen Sample and Mark Collom’s The Men on the Sixth Floor. I seek to build on these seminal works. Yes, I believe that LBJ spearheaded a conspiracy funded by Texas Oil and assisted by elements of the CIA and the Mob. Yes, I think LBJ’s unique relationships with J. Edgar Hoover and the FBI, defense contractors, Texas Oil, and organized crime allowed him to spearhead a conspiracy. All had a stake in Kennedy’s death. Q. Where were you on the day it happened? Some people on the political right were known to have cheered the news? Did you hear any of that? RS: I was 11 years old. I was in the Lewisboro (NY) Elementary School. Lots of my young classmates were crying. When the teacher asked why I wasn’t crying I said, “I’m a Republican.” Yet when I saw the photo in the New York Daily News of young John-John Kennedy saluting his father’s casket a few days later, I too wept. Q. Your book reports on your conversations about JFK with Richard Nixon and John Mitchell about the assassination. How did you get these men to open up about such a sensitive topic? I worked as a political advisor to President Nixon in his post-presidential years and spent many hours with him talking politics. Nixon liked a dry martini and he liked to talk politics. He was circumspect and never overtly said “LBJ did it” but he did say a number of things that more than indicate he believed this. My book details this. Nixon recognized Jack Ruby and knew him since 1947 as a “Johnson Man.” Upon seeing Ruby kill Oswald on national TV Nixon recognized him — and understood what had really happened in Dallas. By 1976, Mitchell was out of prison and quietly helping me line up Republicans for Ronald Reagan, convincing former Kentucky Governor Louie Nunn, to serve on the “Citizens For Reagan” being chaired by Senator Paul Laxalt. Mitchell had a small office in Georgetown. We used to drink at a bar in Georgetown called the Guards. Mitchell confirmed that many of the same things Nixon said to me he had also said to Mitchell. Mitchell shared his own conversations with Nixon. Also beneficial were my interviews of Ambassador John Davis Lodge who confirmed that his brother Henry Cabot Lodge, JFK’s Ambassador to Vietnam, had knowledge of the involvement of the CIA and Lyndon Johnson in JFK’s murder. I also interviewed long time Nixon aide Nick Ruwe who probably spent more waking hours with “RN” than any other individual, as well as John P. Sears, whose insights into Nixon and his thinking were invaluable. I also had the opportunity to talk to Governor Jesse Ventura who’s research confirmed the link between the Bay of Pigs, JFK’s assassination and the downfall of Nixon in Watergate. Q: In his memoir Bob Haldeman speculated that when Nixon spoke of “the whole Bay of Pigs thing” he was actually referring to JFK’s assassination. Did Nixon ever use that phrase in your conversations? RS: Nixon ran a covert CIA operation to assassinate Fidel Castro when he was Vice President. Some of the CIA operatives and assassins involved in these plans, altered but not canceled after JFK’s surprise election, ended up working for the CIA in the Bay of Pigs fiasco. These same men, E. Howard Hunt and Frank Sturgis were involved in the JFK assassination. They would surface again in Watergate. It is important to recognize that in 1963 Nixon was completely out of power and considered politically washed up. Like LBJ, Nixon still burned to be President but he was considered finished. Nixon understood the connection between the Bay of Pigs and the Kennedy assassination and came to understand Johnson’s role in Kennedy’s murder. After his comeback election in 1968, Nixon demanded all CIA records on the JFK assassination seeking them for leverage and insurance. In my book I make the case that Watergate, like the JFK assassination, was a coup d’etat a in which the CIA participated. Once CIA veteran James McCord was brought in on the Watergate burglary plan, the CIA knew what Nixon’s minions were up to. The Bay of Pigs, the JFK assassination and Watergate are thus inextriplicably linked. Nixon’s effort to get the CIA to instruct the FBI to back off the Watergate investigation was a threat to expose the CIA involvement in the murder of JFK, which he knew grew out of the Bay of Pigs Invasion failure. Q. When did you decide to write this book? And why? RS: I have worked on this book for at least 10 years and have worked on it intensely for the last two years. I am greatly indebted to my researcher and co-writer, Mike Colapietro. Some will say that I have some partisan angle as my motive for writing this book. In fact, Republicans Gerald Ford, George H.W. Bush, Earl Warren, Arlen Specter and John McCloy don’t come off well in the book. All play some role in the events of November 22, 1963. Many people have asked me why I waited until now to write my book. When I told Mitchell I would write a book about the JFK assassination “someday,” he said, “on the 50th anniversary” and I agreed. I have honored that commitment. Q. For some conservative commentators (I’m thinking Thom Mallon, James Swanson, and Gerald Ford), JFK conspiracy theories are a hobbyhorse that deluded leftists use to denigrate America and American power? Does your book denigrate America? 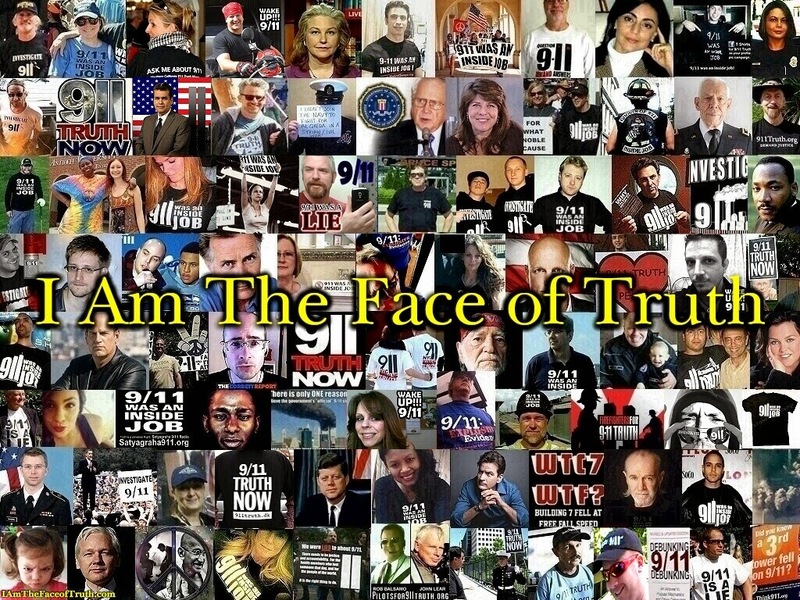 The evidence of a conspiracy is so overwhelming now that the vast majority of Americans believe they have not been told the truth by the government about the JFK assassination. It is important to note that John F. Kennedy was murdered not just because of his plans to wind down the Vietnam War, his entreaties for better relations with the Soviets and his efforts to repeal the oil depletion allowance but also because of his double cross of the mob after their support in the 1960 election and concern by many at the Pentagon about JFK’s drug use. Kennedy was in fact hopped up on intravenously injected meth during the 1960 debates as well as the Cuban Missile Crisis. JFK was no saint. Q. I have always been personally skeptical about the “LBJ did it” theory because I don’t see much evidence that Johnson or his cronies knew about the existence of Lee Oswald, much less had contact with him or the ability to manipulate him. If LBJ organized the death of JFK what is your theory/evidence about who organized the patsy role for Oswald? While Johnson was the primary mover of the assassination there is no doubt that the conspirators including the Dallas Police Department, the Dallas County Sheriff’s Office, both perhaps unwittingly as well as the Secret Service and the FBI, as well as rogue elements of the CIA. The agency set Oswald up as a patsy when fingerprint evidence demonstrates conclusively that the shooter from the sixth story window of the Texas Schoolbook Depository building was in fact Malcolm “Mac” Wallace, a longtime LBJ henchman whose ties to Johnson are thoroughly established and documented in my book. Interestingly, LBJ acknowledged to both his mistress, Madeline Brown and his Chief of Staff, Marvin Watson, that the CIA was involved in Kennedy’s murder — not exactly his Warren Commission’s conclusion. LBJ was facing political ruin and prosecution and jail for corruption when he insisted on JFK’s visiting Texas and when Gov. John Connally insisted on visiting the Trade Mart and on the motorcade through Dealy Plaza. 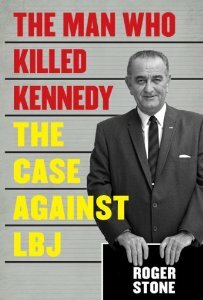 I also delve in the LBJ the man. He was a monster. Power hungry, crude, vulgar, abusive, sadistic,vicious and often drunk, this is a man who reveled in his aides’ discomfort by conducting meetings while sitting on the toilet defecating. He had at least three illegitimate dhildren, two of whom are still living. I tie LBJ to at least eight political murders in his ascent to political power and his quest for money. Johnson’s capacity for lying, cheating and crime knew no bounds, which is why Jacqueline Kennedy said, “I never liked Lyndon Johnson and I never trusted him” and why Robert Kennedy described him as “an animal.” LBJ was a murderer, and perhaps even a functional lunatic. “The difference between me and LBJ was, we both wanted to be President but I wouldn’t kill for it” Nixon told me in 1989. Q. Correct me if I am wrong but I think you are the only White House employee since JFK’s death who has ever written a book about JFK’s death. Why do you think that is? RS: I have been a participant in mainstream American politics for 40 years. I had unique access to a number of individuals who played pivotal roles in the entire drama. While I understand that many JFK assassination researchers believe the President was killed by “the establishment” or the “military – industrial complex,” which would include munitions manufacturers, defense contractors, Texas oil, the CIA, the FBI and numerous ambitious politicians. What these researchers don’t understand is that “the establishment” is not monolithic. Members of the establishment don’t necessarily move in concert. The establishment is racked with its own intramural contests, rivalries and struggles for political power. While it may be true that many establishment figures either knew about Kennedy’s murder in advance or at least acquiesced in it, they were not conspirators themselves. Because I have seen these struggles firsthand I believe I am uniquely qualified to write this book. Q. When will your book reach stores and Amazon? My book will be in stores November 6, 2013. Amazon will ship pre-orders at that time. I will do a book signing at the Barnes and Noble in Dallas on November 22, 2013, as well as book signings in DC, Santa Monica and Ridgewood, New Jersey outside of New York City. Nov 21, 2013 ... Consequently we are now stuck with ONE bullet hitting both JFK in the back and then Connelly - the magic bullet - to cause all the injuries. April 7-8. 2016 -- Was the father of presidential hopeful Cruz involved in the JFK assassination? I'll gladly eat my words that he was clearly going to break his promise if so. It is probably not a coincidence that this announcement comes on the heals of an unexpected 60 Minutes piece on the 28 pages, which arguably was spurred on by Donald Trump bringing the issue into the limelight approx two months ago. Labels: 60 Minutes piece on the 28 pages, Why Will Obama Declassify The 28 Pages? I am heartened by the courage of the Edinburgh firefighter Brian Maxwell and the clever tactics used by our UK friends to open up the 9/11 conversation in polite company, so to speak. 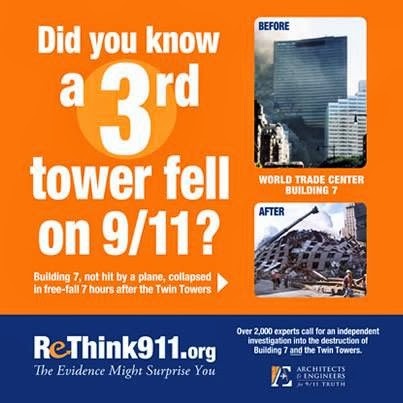 Please pass this on to your contacts -- 9/11 Truth folks and otherwise! Some contraversial issues are easier to understand than one might assume - provided we can think logically and base our views, firstly, on established evidence rather than on preconceived assumptions. Some things are actually very simple to understand, if one is prepared to look and think for a few minutes. 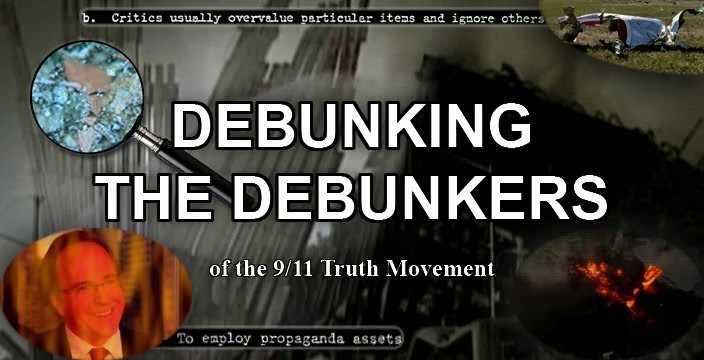 When it comes to determining whether or not the official account of the September 11 attacks is believable, the event that launched the War on Terror, curious minds will find that there are numerous points of physical evidence that conclusively show the official story is false. This observed phenomena of extremely high temperatures - actual forensic proof - contradicts the official explanations of what happened, as do many other features recorded and analysed. This is not a trivial discrepancy either, but a fundamental point of fact. This evidentiary proof is simple and straightforward and in contradiction to the official story. This does not mean that all three demolished buildings (the Towers and WTC7) were brought down solely using thermite - in fact there is clear evidence of extensive HIGH EXPLOSIVE (not incendiary) IMPACTS upon the steel structures of the buildings https://www.youtube.com/watch?v=ABuCO5ifeIE. It is likely the thermite was only used as part of a contingency strategy, or to simulate 'fire damage'. Regardless of the exact method, we do know for a FACT that melted steel, and the signature of thermite, was a widespread feature of the debris pile. This physical evidence proves that there was a wider conspiracy in bringing down the buildings. More occurred than aircraft simply striking the buildings and setting them on fire. The revelation that the attacks of 9/11 involved inside help should be a key step in ending the war on terror - so long as justice is sought against all those involved in carrying out this heinous false flag terrorist event. Labels: Martin O’ Malley Slams Clinton For Linking 9/11 To Her Wall Street Donors, Who Would Hillary Clinton Owe Favors to if Elected?